The promotion is already on Tomaszkiewicz’s LinkedIn profile which was spotted by a Reddit user. The Witcher 3: Wild Hunt, released in 2015 on PC, Xbox One, and PS4, is considered one of the best games of the generation so it’s exciting to see its former game director take a commanding role in the development of the Cyberpunk 2077. In addition to becoming design director, Tomaszkiewicz also got promoted to Vice President of Game Development at CDPR in February 2019. Just recently, the creative director on Cyberpunk 2077, Sebastian Stępień, left the company to start a new gig at Blizzard. Perhaps CDPR, in an effort to ensure the game is still on schedule, is moving some people around internally. Looking at his LinkedIn page, Tomaszkiewicz started out at the Polish studio as a junior tester on the first Witcher game. Since then, he’s climbed the ladder to become Vice President of Game Development and Design Director. That’s a pretty impressive achievement. Good on Tomaszkiewicz for always challenging himself. 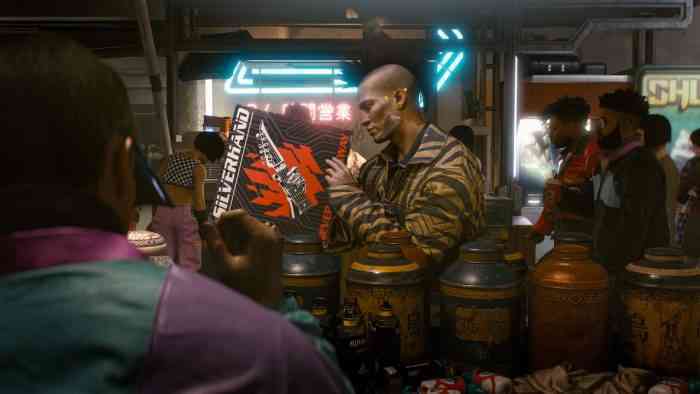 Cyberpunk 2077 still doesn’t have a release date but it was confirmed to be making an appearance at E3 2019. “For those of you asking, yes, we will be at E3 this year,” said a tweet from the official account last month. Are you excited for CDPR’s latest? Leave a comment down below.